An altar is a physical space to come to when the world seems too chaotic and you need to step out of it and take a break. In the books of the Old Testament , specific woods, gems, metals and even dimensions were written to be used in the construction of an altar. An altar not only provides a physical space, such as a table top, china hutch or dresser bureau, but also its’ sacred elements, deems so by you, create a psychic space in which you can open up to the Divine and seek comfort. What you use for your altar, be it driftwood from the ocean or a folding table with silks draped over it, the most important element in altar construction is what you deem sacred and spiritual and the placement and enjoyment you gain from the ritual of the construction. 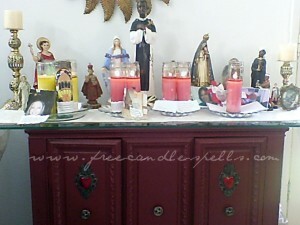 A good question to ask yourself is this: Why are you drawn to create an altar? Some have one because they have received or collected small images of deities and want to display them. Some create an altar for a place, such as the ocean or the forest, because the individual connects or is devoted to that region on Earth. 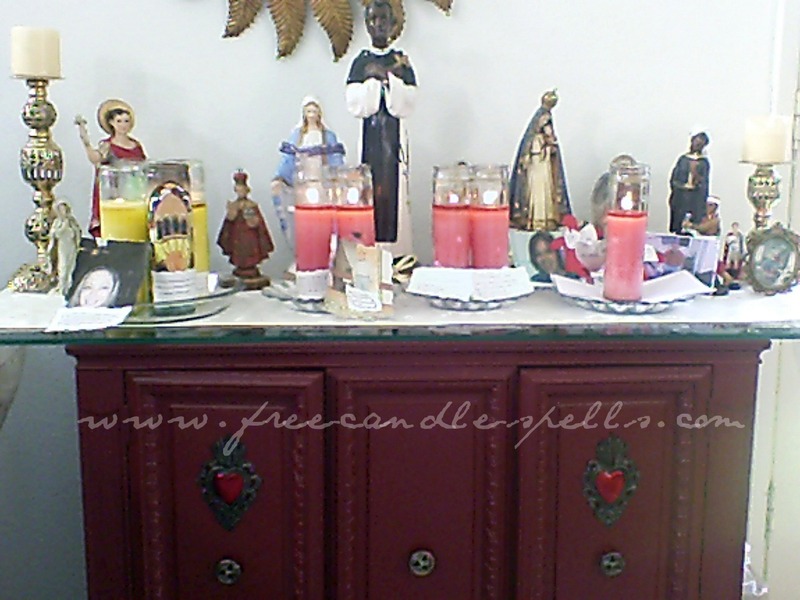 Some create an altar of relatives who have passed, like on a dining room hutch or the fireplace mantle. 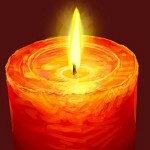 Do not be surprised that even people who are interested in a favorite rock or pop star or an actor will have a rudimentary altar constructed for them with framed photos, concert tickets, snapshots and maybe even the drink cup from the venue, all to memorialize the function in which the fan attended. Whether you set up your altar in a private or public place, indoors or out, you can create an inviting and serene place to sit and meditate or pray, or to quiet the mind and soul from the worries of the day. 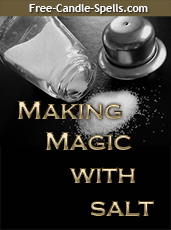 How you create and use your altar is entirely up to you. 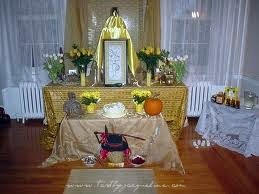 Again, your creative expression can be released and there are no “wrong” ways to decorate an altar. Many times a person will begin with a simple set up, only to have it grow over time into quite an elaborate, and more importantly, meaningful sacred space to the person.